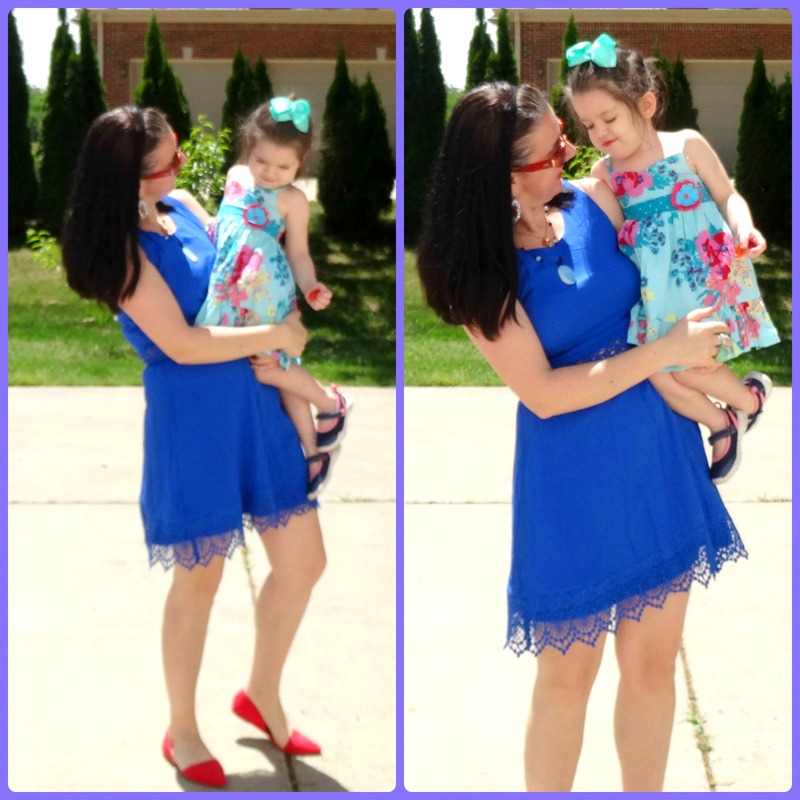 Snorkel Blue Crochet Detail Dress and Confidence Linkup. There is so much love in this little photo. It is not the perfect picture but it is the perfect meaning to me and to my life. 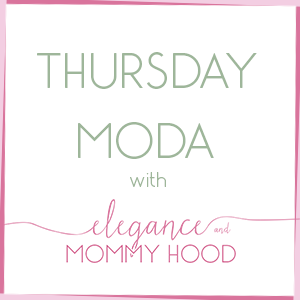 Plus, come to think of it, this photo totally describes my blog and fits the blog's name "Elegance and Mommyhood" best. 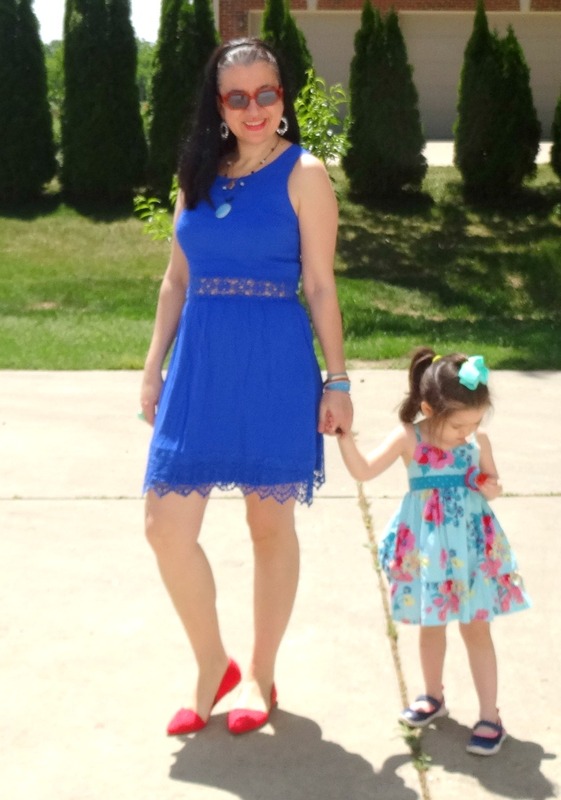 I am a mom, in love with and so proud of my little girl Vivian and I am nicely dressed, putting my best foot forward in an elegant look, where both my daughter and I are wearing Summer Dresses. Vivian hugging me big is just the icing on this pretty perfect cake I get to eat every day: motherhood. This picture makes me very confident: confident that I am a good mother, confident that I am a stylish woman, confident that my daughter loves me and accepts me for me. 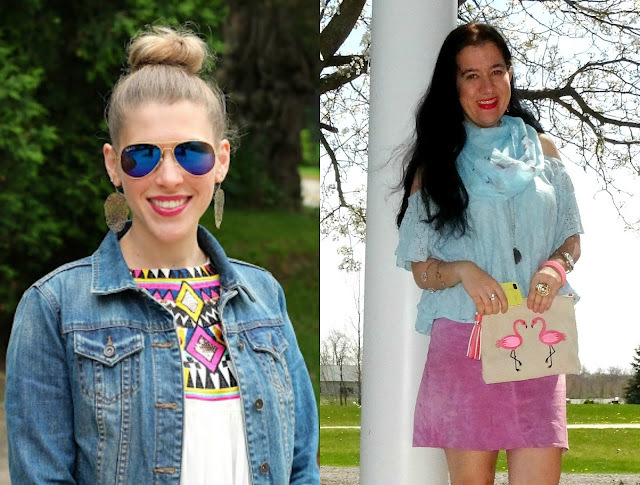 Speaking of Confidence, today I am also the co-host of Confident Twosday - a very successful linkup on Tuesdays - going strong for over two years now - run by the Beautiful LAURA of I Do deClaire. 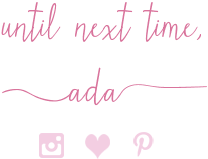 If you don't read Laura's blog yet or if you don't link up with her on Tuesdays yet, today is your chance. Laura is a speech therapist by day and a style blogger by night, also an elegant mom to a little toddler girl named Claire (like the name on her blog). I didn't mean to get so deep and make some of you mushy, from the first sentence of this post but I just wanted to state how I felt about that photo. 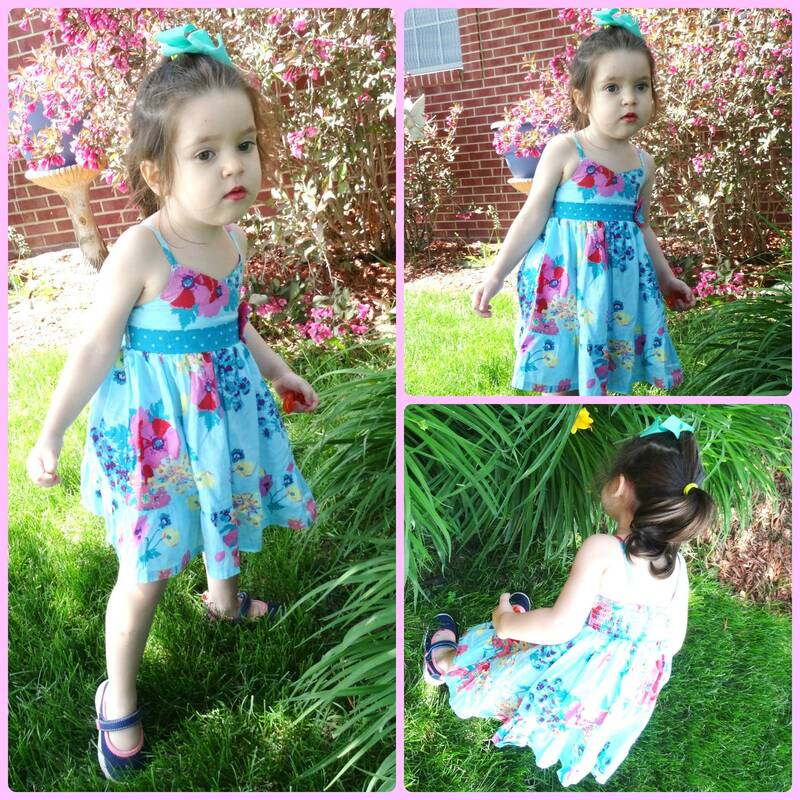 Anyway, my daughter and I are back together today, styling Blue Dresses and my 5th Dress of the month features crochet detail on the waist, giving the illusion of a beautiful intricate belt, as well as on the hem with scalloped edges. 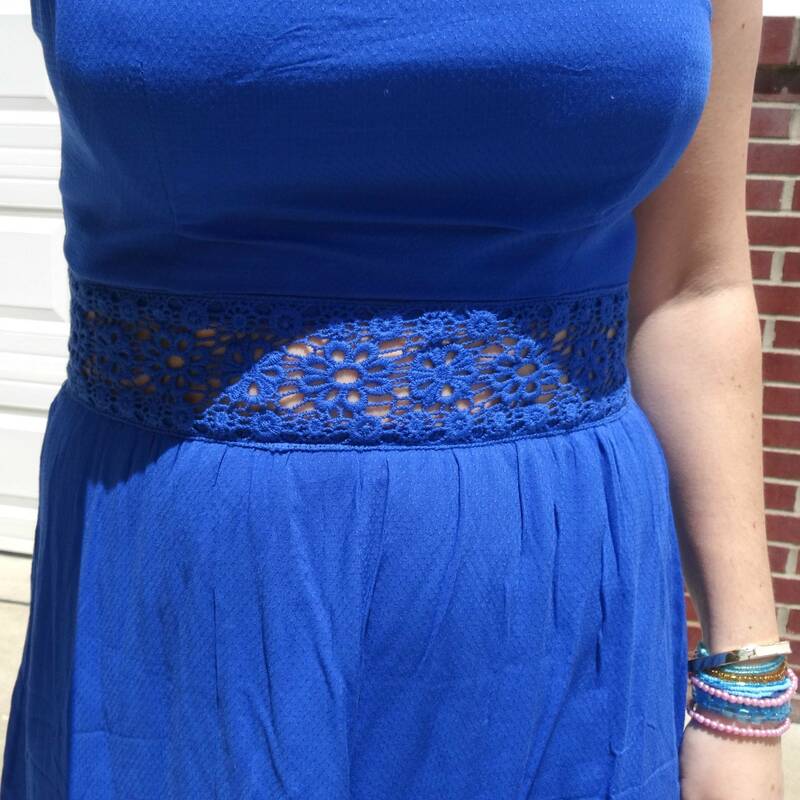 I ordered my Crochet-Waisted Fit+Flare Dress via Target.com, recently. It came in a few different colors but this vibrant Snorkel Blue Color (a.k.a. Cobalt) attracted me. 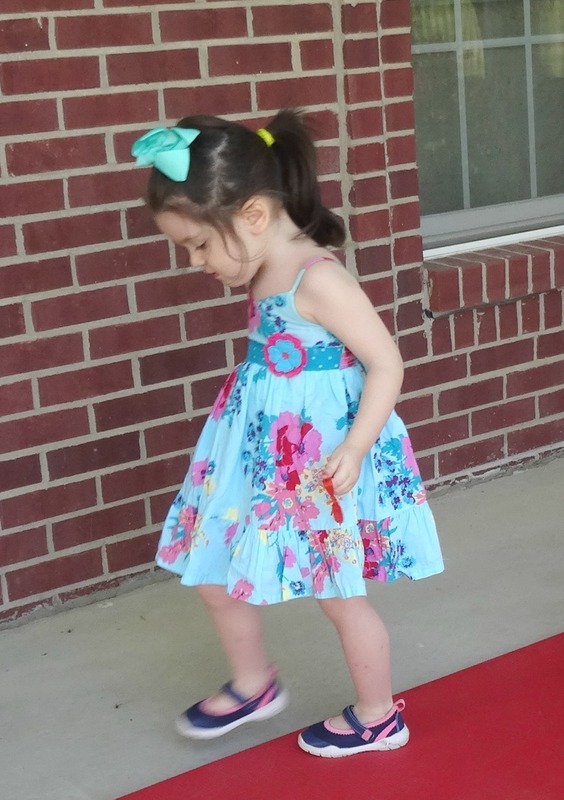 Upon arrival, I loved the dress even more. The crochet on the waist is patterned in a see-through/lattice floral design and the hem is pretty plus the material is silky but it has a texture like tiny Swiss dots. The dress has an exposed zipper on the back. Once I put it on (the Small fit perfectly by the way), I realized that last year I purchased a similar Fit+Flare Bright Blue Dress - perhaps even more of what Pantone is calling Snorkel Blue this year, one of the IT Colors of Spring/Summer 2016 - which means a shade or two brighter than Navy. Last year's dress has an exposed zipper on the front, shirtdress style. 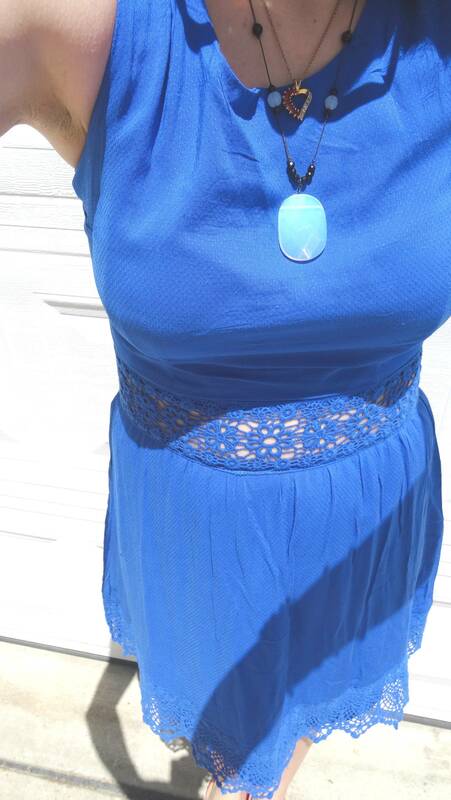 This dress is more of a Cobalt, the H&M one from last year is more what I call a Royal Blue. Anyhow, good thing I have this one now that I am in the States since my other closet half is in Albania. 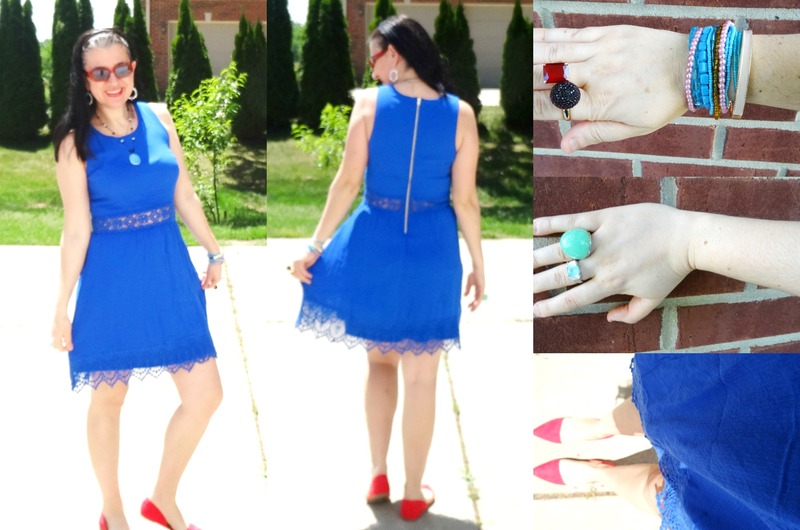 With the 4th of July less than a month away now I wanted to inspire you all a little so my Blue Dress got paired with punches of Red and White. 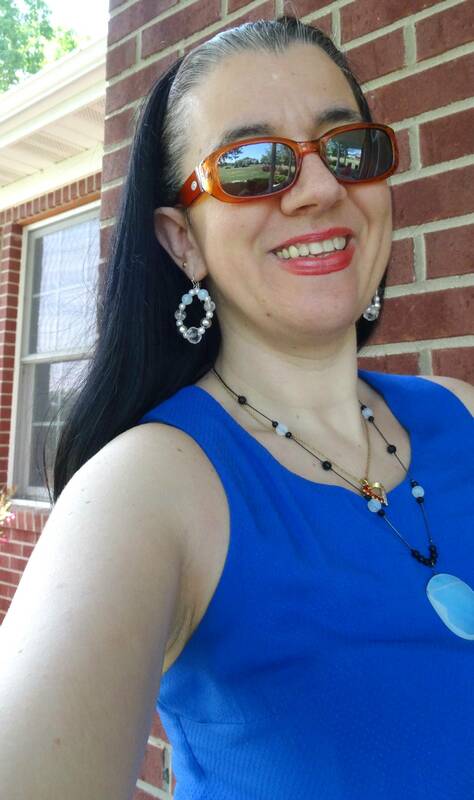 The Statement Necklace and Earrings both have White and Light Blue Crystals on them. 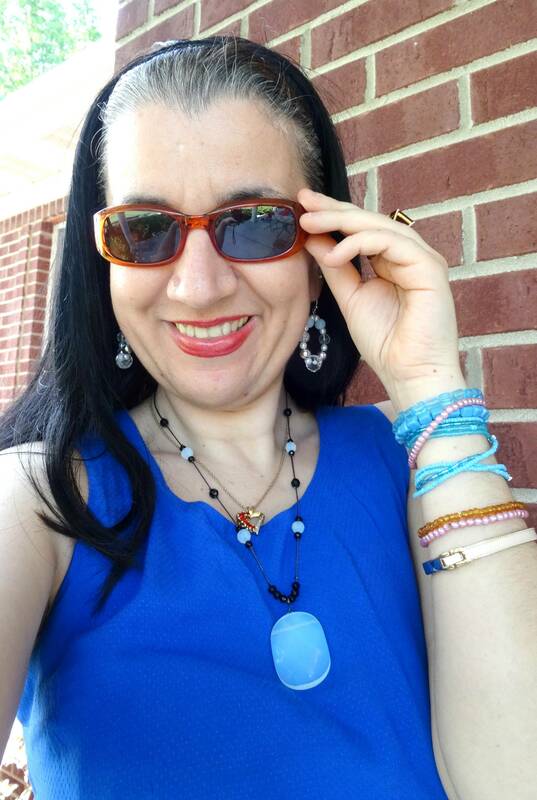 The Orange-Red Flats match the Red Heart Necklace, Red Rings and the Redish-Brown Sunglasses whose color is mimicked by my Lipgloss. I added a stack of Little Bracelets, too. 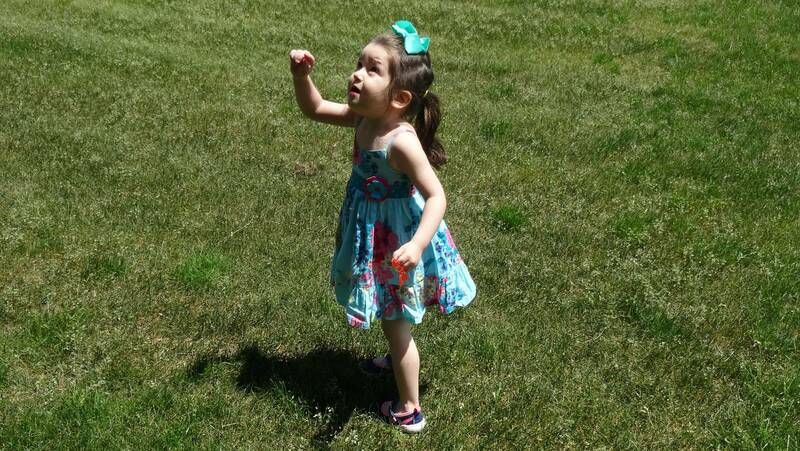 To tell you the truth, when I put Vivian in her Blue Floral Sundress, I didn't really think of us matching in various shades of Blue. 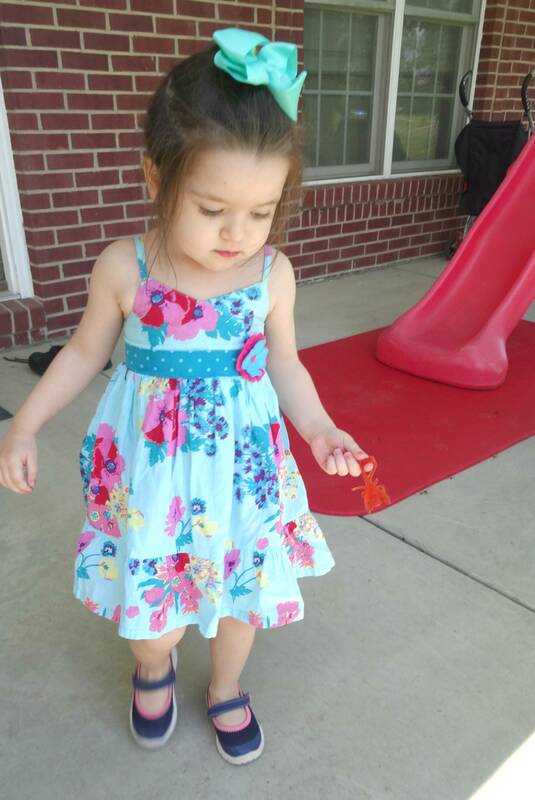 Vivian's Dress is also from last Summer and one of the few that fit her still. 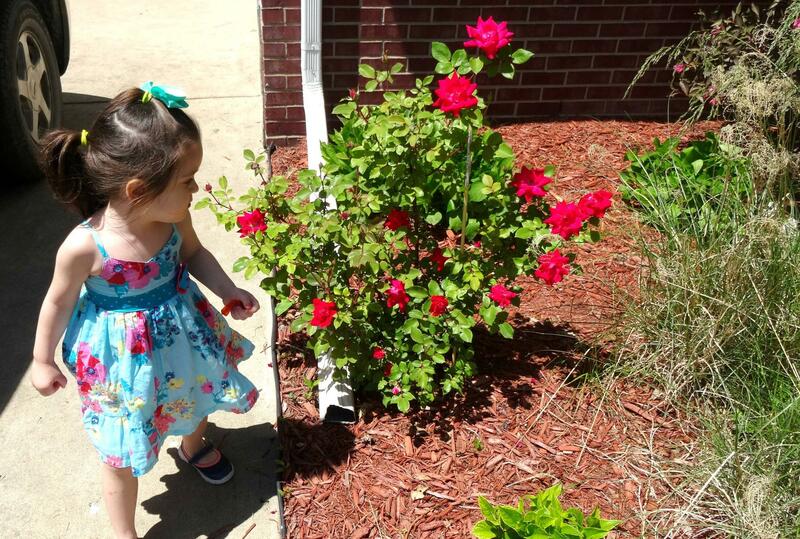 I love the pictures of her by the flowers blooming in our garden. 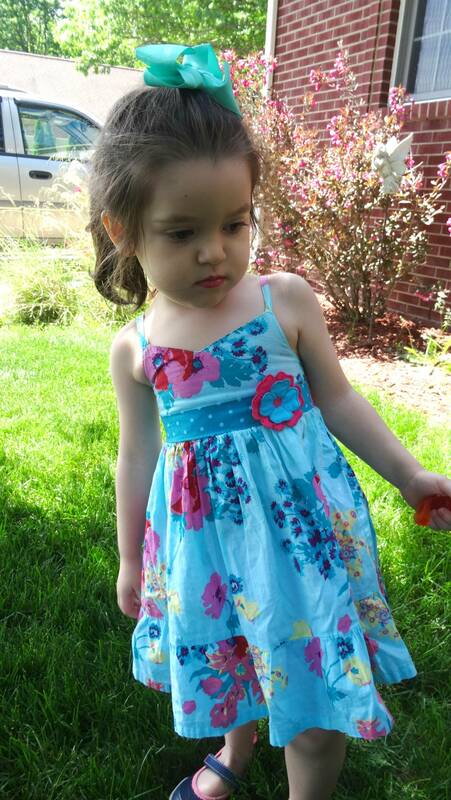 Basically we have my flower (Vivian) dressed in flowers (in her dress), surrounded by real flowers (from the garden). I told you this post is filled with Beauty and Confidence. You have a dress or five that make you feel confident when wearing them? 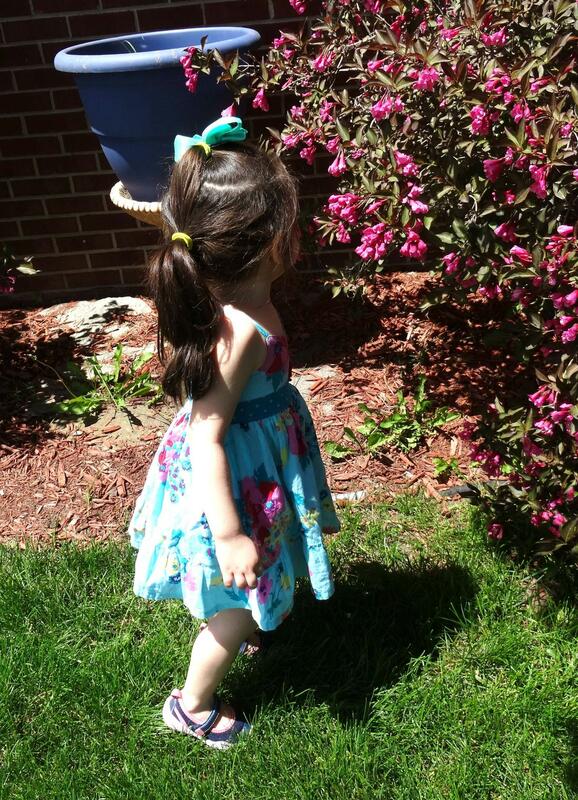 What about a Pretty Bright Blue Dress? Snorkel Blue, anyone?! 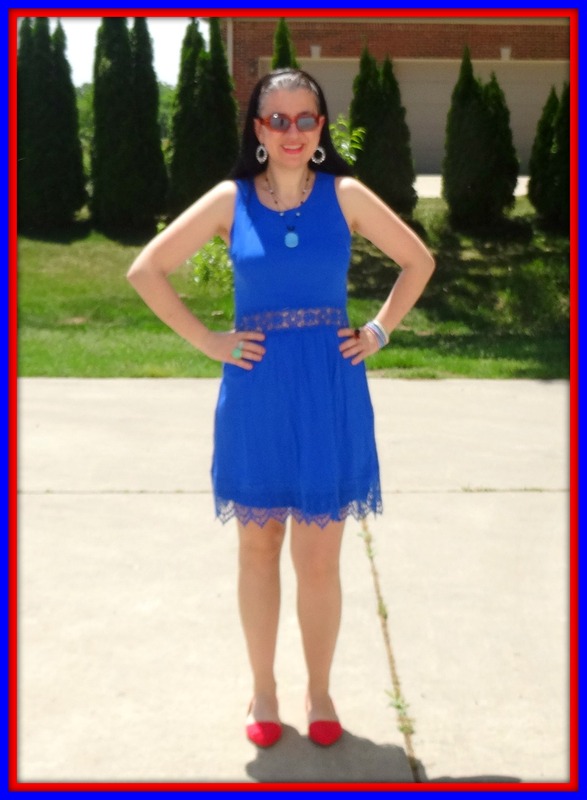 Snorkel Blue/Cobalt Fit+Flare Sleeveless Dress w/ Crocheted Waist: Xhilaration via Target (New) (similar w/ see-through detail, Steal, my Favorite), (similar, dressy option, Great Deal, love this), (similar w/ cut-out detail, small Splurge), (gorgeous lace option, Splurge). Black Faux Suede Braided Skinny Headband: Forever 21 (similar, Steal), (similar), (similar in lucite, Splurge, love this). Cognac/Brown Tortoise Frame Oval Sunglasses: Souvenir from Mexico Vacation (old) (similar, Steal, love these), (similar, Great Deal), (similar, Splurge). 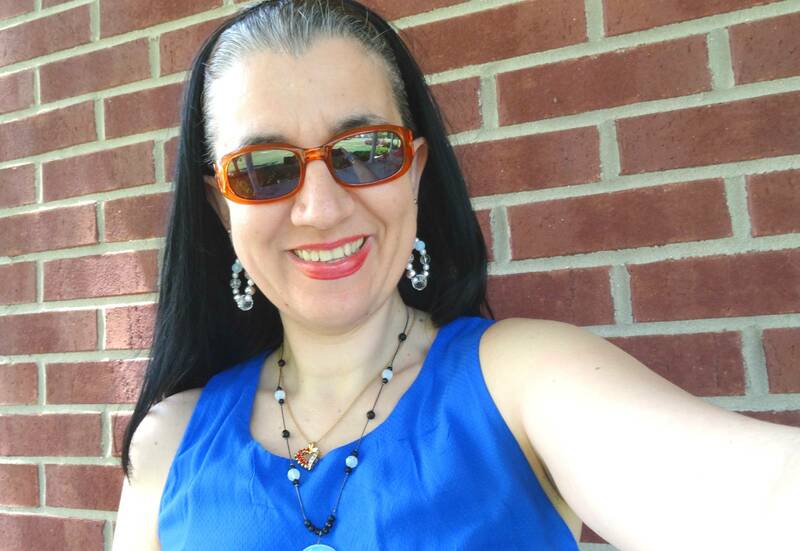 Beaded Statement Necklace w/ Large White+Baby Blue Iridescent Stone in the middle: Express (similar, Steal), (similar long necklace), (similar, Splurge, love this). 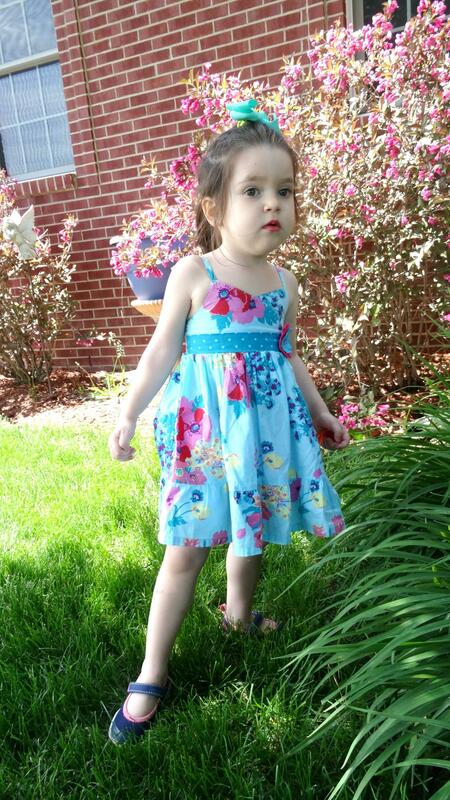 Turqouise Blue Floral+ Polka Dots, Ruffled Hem Sundress: Blueberri Boulevard. 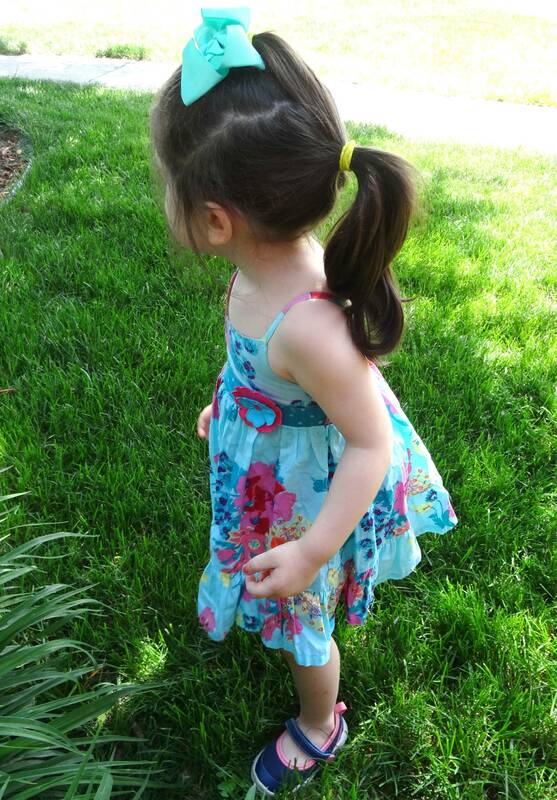 Here is another bright, pretty, sleeveless dress which has crochet detailing, this one has it on the back. 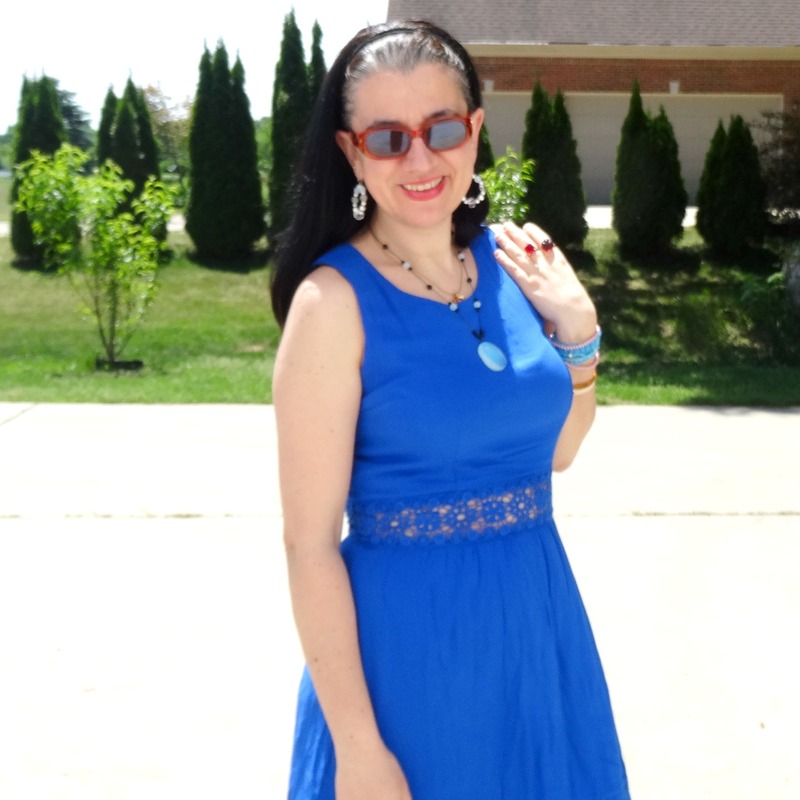 Below is how I wore it last Summer in July 2015. 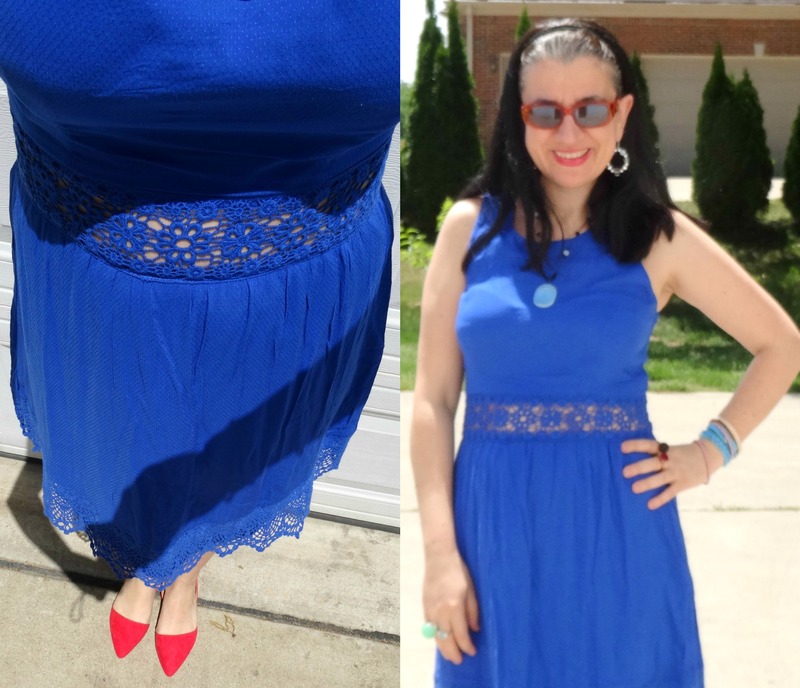 And here, back from August 2015 (the 2 pictures below) is the other Fit+Flare Bright Blue Dress with the exposed zipper on the front, that I mentioned above. 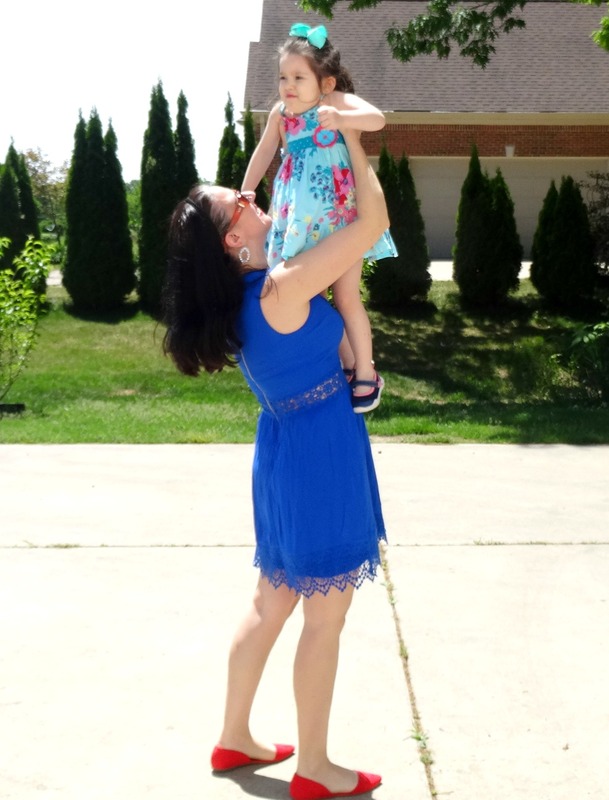 Back then I went for head to toe monochrome look and once again I dressed down a little blue dress and my Daughter Vivian also wore blue, albeit Navy. Funny enough, in this post was the last time I co-hosted with Ms. Laura too. Pretty coincedence, no?